Is there a better alternative to Turkey or Not Widget? Is Turkey or Not Widget really the best app in Other category? Will Turkey or Not Widget work good on macOS 10.13.4? Turkey or Not Widget... You're the critic, you rate the movies! A widget which feeds you movies from turkeyornot.com. Rate them either 'turkey' or 'not' and see the overall rating. Click on the poster and you'll be take to the turkeyornot.com comments page where you can see what others are saying and add your own comments. 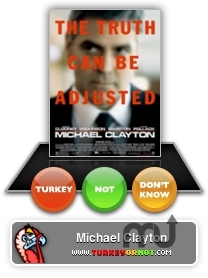 Version 1.1.1: New option on the back "Animate Turkeymeter"
Version 1.1: A vote of "Don't know" now reveals the turkeyness of the film, so you can see what others think about it. It may help you discover new movies! If a film title is too long to fit in the allocated space it now scrolls. The Turkeymeter is now animated -- just for fun! Fixed a bug that could cause the film title to fall off the edge of the widget. Turkey or Not Widget needs a rating. Be the first to rate this app and get the discussion started!